Not really problems, all seems to be working, just my lack of understanding I think as I'm very new to this! Wanting to encrypt a block of plain text. Having highlighted the text I require, right click and get to the services menu and then select encrypt to a new window and all is well. When the menu pops up I select the intended recipient and add myself but I'm not sure what the action is intended to be if I click the "encrypt with password" checkbox (see image) as well as the application encrypting in the usual way. If I check it I get asked for a passphrase (not a password) and then I get asked to repeat it which I do but I'm still not clear what the behaviour differences are, or are meant to be, if I check this box or not. Is the password I'm asked to enter a new, document specific, password rather than my "master" password? I'm assuming that is the case. Clarification would be much appreciated, I've not been able to find the answer in the knowledgebase I'm afraid. this interface can be a bit confusing. In the list at the top you can pick recipients who the file is meant to be encrypted for. In this case you would encrypt the data with their public keys and only they would have access to the data. You could however also choose to encrypt data with a password. In which case, everyone with access to the encrypted data and the password could decrypt the data. For exchanging files, the encryption using public keys makes more sense if the recipients have already created key pairs, since otherwise you would have to securely communicate the password/passphrase to them. Hope that explains a bit better what is going on. Thank you for your reply, I am clearer but still haven't cracked this I'm afraid. 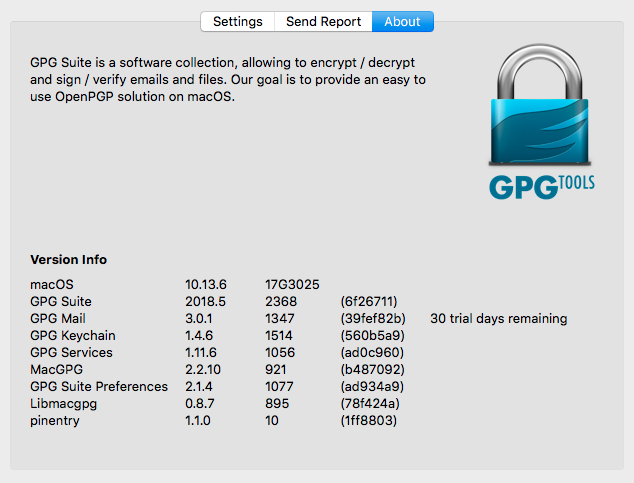 If I select a text file and then select "Open PGP: Encrypt file" from the "services" menu a window opens as you describe. If I UNcheck all the recipients boxes and check the "encrypt with password" option the file gets encrypted once I enter a suitable password, that's all fine. Once the encrypted file has been generated how do I then open it? My assumption, which may be wrong, is that I could send this file to someone as an attachment and that they could open it with the password I'd used, given to them by another (secure) means. I find if I try to open the encrypted file I'm shown the file verification results but nothing else, unless it's being saved somewhere I can't see. I don't seem to be able to see the unencrypted file even if I enter the correct password, just the verification window. After encryption a file with the exact same name should be created with an additional .gpg suffix. If you were to encrypt a folder, a zip file would be created with the name of the folder and the suffix .zip.gpg. The encrypted files are created at the same location where the source file resides. These files can then indeed be shared with someone else. To decrypt the files they will then need the password you have specified which you have to provide to them via some other way. If you double click on a .gpg file, the file should be decrypted and should be placed next to the encrypted file at the same location with the original filename (most likely the name of the encrypted file, without the suffix .gpg but can be something else as well). If the file was signed as well, you will see the verificatuon result dialog as well. Does that give you a more complete picture? Thank you again, this is all now sorted out, thank you for your patience. Thank you again, I'm now all sorted out on this one. Thanks for your patience. Steve closed this discussion on 04 Dec, 2018 10:15 PM.